LEGAL PRO is a boutique law firm based in St. Petersburg, Russia specializing in advising international and Russian clients on all aspects of employment, corporate, and commercial law. The firm advises employees, executives and employers on a range of issues related to employment and immigration law, including negotiating executives’ contracts and dismissals and advising on immigration. 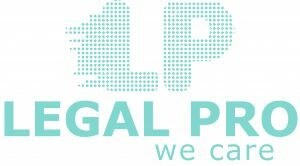 LEGAL PRO combines two most important features: high-quality expertise in employment law and personal approach. One of the main approaches that we use is “prevention of litigation.” Our team members put all their skills, knowledge, and efforts to resolve conflicts between the employees and employers in amicable way or, mostly, prevent the conflict on the early stage. LEGAL PRO works on projects all over the Russian Federation.